Cheapest Broadband Deals Don't pay over the odds. We've got the cheapest broadband deals you can find from all the best ISPs in the UK, including Sky, Virgin and BT. Some deals may not be available in your area - pop your postcode in the box above for accurate local results. Calls to UK landlines and mobiles charged at 9.5p/min. The Bottom Line: You pay £23.98 the first month, then £13.99/mo for 11 months, then £24.99/mo. The Bottom Line: You pay £15.90/mo for 12 months, then £30.00/mo. Calls to UK Landlines charged at 13p/min. The Bottom Line: You pay £16.95/mo for 12 months, then £22.95/mo. Calls to UK landlines charged at 15p/min, 13.5p/min at weekends. Calls to UK Mobiles charged at 15p/min. The Bottom Line: You pay £17.00/mo for 12 months, then £27.00/mo. Free calls to UK local and national numbers at evenings & weekends. 7pm to 7am Monday to Friday and all day Saturday and Sunday. The Bottom Line: You pay £26.47 the first month, then £16.48/mo for 11 months, then £27.48/mo. Unlimited weekend calls to UK landlines (01, 02, 03 numbers). 6pm on Friday ’til 6am on Monday. The Bottom Line: You pay £17.90/mo for 12 months, then £32.00/mo. The Bottom Line: You pay £17.99/month throughout the 18-month contract. ...for reduced price and free activation! The Bottom Line: You pay £18.00/mo for 12 months, then £22.00/mo. Calls to UK landlines charged at 12p/min. The Bottom Line: You pay £18.00/mo for 18 months, then £28.00/mo. Inclusive evening and weekend calls to UK landlines including 0845 and 0870 numbers. Evenings between 7pm and 7am, and all day Saturday and Sunday. Calls to UK landlines charged at 7p/min. Calls to UK Mobiles charged at 17p/min. The Bottom Line: You pay £19.00/mo for 12 months, then £25.00/mo. Calls to UK landlines 13.5p/min. Calls to UK mobiles 15p/min. Free calls to Plusnet support and Plusnet landlines at any time. The Bottom Line: You pay £23.99 the first month, then £18.99/mo for 17 months, then £29.98/mo. Inclusive evening & weekend calls to UK landlines (01, 02, 03). 6pm Friday to 6am Monday and 6pm-6am weekdays. The Bottom Line: You pay £19.90/mo for 12 months, then £34.00/mo. Evening and Weekend calls to UK Landlines, including 0845 and 0870 numbers. Monday to Friday, 7pm to 7am and anytime Saturday and Sunday. The Bottom Line: You pay £20.00/mo for 12 months, then £26.50/mo. The Bottom Line: You pay £26.94 the first month, then £19.99/month thereafter. The Bottom Line: You pay £29.94 the first month, then £19.95/mo for 11 months, then £34.99/mo. The Bottom Line: You pay £20.90/mo for 12 months, then £26.90/mo. Calls to UK landlines charged at 15.5p/min. Calls to UK mobiles charged at 18p/min. The Bottom Line: You pay £31.00 the first month, then £21.00/mo for 17 months, then £32.00/mo. We compare and find the lowest priced broadband deals in the UK so you don’t have to. With your cheap broadband deals you’ll get a free wireless router, which beams WiFi throughout your home and means everyone indoors can get online on smartphones, tablets, laptops, computers or other internet-connected devices. Usually included in your cheap broadband only deal is some kind of antivirus software for your home PC, laptop or Mac, for example Sky Broadband Shield, or Post Office Safeguard. Finding your perfect cheap broadband only deal is as simple as popping your postcode in the search box. Just because you’re paying less than £20 a month for broadband doesn’t mean you should be stuck with installation delays, missed appointments or overseas call centres who can’t help you with any broadband problems. Cheap doesn’t mean you should accept a lower quality of service. Even the cheapest broadband deals can be better for your wallet and better for your state of mind. As the cost of living rises and household bills go up, finding a cheap broadband deal is a great way to save on your monthly outgoings. If you need to save money fast, switching to a cheaper broadband deal is a great place to start. What kinds of cheap broadband can you get? While you won’t see this on your bill, the cheapest broadband in the UK is normally delivered using the oldest kind of technology available, called ADSL. ADSL broadband is the oldest kind of technology still on sale on the UK market. These cheap broadband lines can reach a maximum download speed of 17Mbps. You’ll often see this written as ‘up to 17Mbps’. If all you do online is read your emails, browse Facebook or other social media, then this cheapest type of broadband will probably be fine. Once you start watching Youtube or BBC iPlayer online, or streaming TV on Netflix, using your home broadband WiFi to make Skype or Facetime calls on your mobile, then the ADSL broadband is less suitable and will likely struggle to keep up. You will have to put up with buffering and stuttering video if you choose ‘up to 17Mbps’ broadband. Often users won’t be able to get 17Mbps, because of a host of reasons including their distance from the nearest telephone exchange (closer usually means you’ll get faster broadband), the number of people trying to get online nearby, and the time of day (usually broadband is slower during peak times, before 10.30am and after 5pm). Still, low cost broadband doesn’t have to be low quality or low performance. You can get cheap broadband only deals for under £20 a month especially if you don’t need calls or TV bundled in. Contract lengths vary between 12 months and 18 months. Several providers at any one time make the grade for under £20 a month deals. These companies usually offer broadband in the cheaper range of prices. We know them as budget broadband providers. 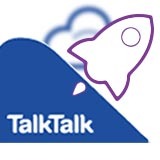 There are fewer bells and whistles but they do offer reasonable value for money, nationwide operations, and decent quality customer service as rated by Ofcom, the telecoms regulator, Trustpilot, the crowdsourced reviews website, and Which? the charity-run consumer products advice service. Will cheap broadband be fast enough? It depends on what you use the internet for. If you’re just browsing websites, checking email or social media without uploading pictures or videos, standard speed broadband up to 17Mbps is likely to be plenty for what you need. Cheap broadband comes in many forms. Sometimes even Fibre-to-the-Cabinet broadband – one step up from standard speed – can come in at less than £25 a month. Fibre to the Cabinet broadband is sold as ‘up to 38Mbps’ and ‘up to 76Mbps’. Sometimes the cheapest fibre broadband can be suitable for you too. Will cheap broadband work for me? It depends on how many people in your household use the internet at one time, and what you use the internet for. Want to use the internet for online games, or to make video calls using Skype or Facetime. Not all cheap broadband deals are equal. Not by any stretch of the imagination. Can you get free gifts with cheap broadband? Sure. Of course. ISPs want new customers and need your business, and they’re willing to offer you sweeteners to sign up with them rather than with their rivals. The most common kind of offer with cheap broadband deals are Reward Cards. These are prepaid Mastercards loaded with a certain amount of cash, ranging from £50 to £175, that you can spend online or in high street stores. Usually ISPs run these Reward Cards through separate companies. You sign up to a new cheap broadband deal, then once your service is switched on, and up and running, you apply to get the Reward Card. Occasionally ISPs will try to grease the wheels with a fancy new piece of tech to entice you into signing up for a cheap broadband deal. These can range from tablets, speakers and headphones to wireless cameras, apps or even the new breed of digital assistants like Amazon’s Echo, Echo Dot, or Google Home. How could switching to cheaper broadband help? The biggest barrier to making the switch to cheaper broadband is usually a fear of being offline for extended periods, or not knowing enough about the ISP they’re switching to. Most people stay with their broadband provider far beyond the initial 12 or 18 months. Prices often go up after this time. People don’t like switching broadband and see it as a major hassle – like switching energy providers. But there’s no loyalty bonus available for most of us. In fact, the longer you stay with one broadband provider, the more likely your monthly bills are to go up, rather than down. If you’ve stuck with your broadband provider for more than 12 months, you’re likely to be missing out on the cheapest broadband deals available. If you’re prepared to shop around, compare prices and providers and really think hard about what you need and what you want, there’s no reason why you can’t find cheap broadband near you. It’s easier than you think to make savings without sacrificing on quality. There are better deals out there if you are willing to look, as you can see from our broadband price comparison tables.